Our mission is to provide compassionate, professional, experienced legal counsel. We understand that when hiring an attorney, personal and emotional issues are involved. You and your family need someone who will treat your concerns with understanding and compassion. 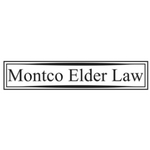 With decades of experience, we deliver high-quality legal services and support when you most need it by limiting our practice to Elder Law and Estate Planning, allowing us to better focus on your needs.